During February, I received four requests from different insurance companies to render an opinion on the unfortunate outcome of trees falling on people and onto property. One death, one personal injury, and two homes with extensive damage. One month. Trees can be and are dangerous. That danger grows exponentially when the subject trees are not inspected for hazardous parts or repairs, or when removals are not implemented. The one constant in all of these assignments was the insurance companies, which only wanted to know the truth of the matter. Could the tree failure have been prevented? Was the insured at fault? I have read, as has most everyone, the available news that paints insurance companies as monsters for not providing proper and ethical coverage. I work with attorneys who have won significant court verdicts regarding the insured who was denied, or almost so, just compensation as to claim money. I also work with attorneys who have demonstrated that the claimant was filing a claim without merit – now there’s a euphemism for somebody trying to cheat an insurance company by filing a false claim. However, I’ve not taken an assignment where this was the case. These types of unscrupulous actions may well be out there in the marketplace. I just haven’t seen them as a result of an inquiry into my area of expertise. There was no longer a tree to be inspected. They all had long ago been removed. There were only pictures to be scrutinized. There were attorneys assigned on both sides of the issue. The insurance companies just wanted the truth. The plaintiffs’ attorneys all claimed negligence regarding the duty to inspect. The trees all had defects BUT you could not have told that when the trees were standing; the defects were hidden. In order to discover the defects, you would have to have used sophisticated equipment. And there lies the heart of the issue with each of the subject trees. When they were standing upright, there were no signs or symptoms of defects. Unless the arborist or landscape professional inspecting the tree had implemented the use of sophisticated and very expensive equipment, the defects were not observable from a walk-by inspection or an inspection where the assessor walked completely around the trees looking for defects. Of course, with so much at stake, the plaintiffs’ attorneys will press for a greater duty to inspect to the ninth degree. The arborist ought to have used the sophisticated equipment to detect what was not detectable by the trained eye. And that is certainly understandable. Somewhere very soon, there will be a funeral. Somewhere, a grown person is being mourned by beloved family members. People seek justice. People seek restitution. People seek a reason why. People need to place blame. Got it. Understand it as well. The best lessons in tree diagnostics are the ones learned in hindsight. The “what if’s” of tree-risk assessments are best learned after a failure has occurred. And the obligation to do so is demonstrated by industry standards. This month is already brisk with assignments regarding trees which have failed. 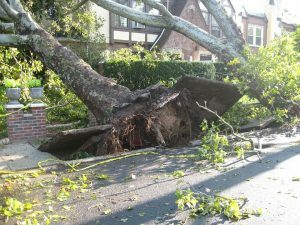 Have your clients inspect their trees on a regular basis or after any significant weather event. It’s called duty. Have the inspection conducted by a trained professional, not the next-door neighbor or the handyman who also happens to own a chain saw. There are some excellent organizations with topnotch professionals who engage in such inspections including The American Society of Consulting Arborists (ASCA) and the International Society of Arboriculture (ISA). Google those names. Engage one of those credentialed professionals and reduce your exposure to tree failure or risk.